Writer’s Note: I know I’m very late in getting this to you, our awesome reader base. Sometimes things in life happen, and this article got pushed aside. Well, here it is now, for you to love and enjoy. I promise that I’ll keep SMC Top 25 lists coming in a more timely and consistent manner the next time around. Thanks for sticking around, and I hope you enjoy. We have finally made it to the coveted top 10, ladies and gentlemen! Every character before this, though good in his or her own right, has lead up to theses ten characters that consist of the SMC best. Who’s it going to be? Well, we can say it’s not going to be Bloodshot, Daredevil, Green Lantern, or Ash Williams, because they’ve already taken spots on this list! It’s not going to be Captain Marvel, Spawn, Optimus Prime, or Judge Dredd either, since they’re on this list too! Now is the time to bite your nails! Now is the time to shred paper (if that’s your nervous tick) because now, we bring to you, the SMC Top 25 List: Heroes! Top 10! Jay Garrick. Wally West. Bart Allen. Barry Allen. All these people are synonymous with the name Flash. The Scarlet Speedster is, quite arguably, the quickest character to ever grace the pages of a comic book. One of DC’s most popular characters, and also the one who ushered in the era of the Silver Age of comics, the Flash has been a mainstay in DC’s stable of heroes since his debut. Whether it’s defeating what’s left of Darksied’s army on Earth-2 in the current incarnation of Jay Garrick, or saving Central City from the likes of Captain Cold, Reverse Flash, or Mirror Master, the Flash can handle it, well, in a flash. By tapping into the speed force, an extra-dimensional energy force where all speedsters get their abilities, not only can the Flash think at light speeds, but also has light fast reaction, endurance, and even expressed healing. Which ever Flash it is, they don’t just run fast. They’re all heroes at heart, and it’s that part of them that drives them more than any speed force or special abilities. Saving the innocent is first and foremost, they’re top priority, with their well-being coming in a distant second. Crisis on Infinite Earth’s showed us that when Barry Allen sacrificed himself to save the universe. Whether it’s Jay, Wally, Barry, or Bart that is your favorite, it’s a tie as to which one takes the #10 spot! 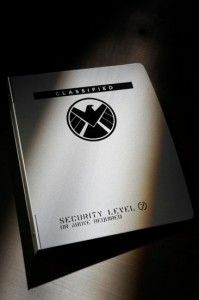 All information in this section of the article: “The StashmyComics Top 25 List: Heroes!” has been deemed classified and Eyes Only information by S.H.I.E.L.D. directive 2279, subsection 1409, paragraph 3, line 2. 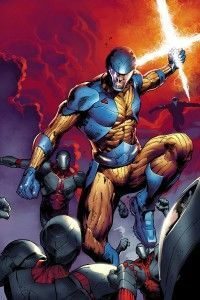 Valiant’s most popular character, X-O Manowar, or Aric Dacia, easily takes over our #8 spot. A pure Visigoth, Aric helped lead his fellow countrymen into battle against the Romans. When his father was killed in battle, Aric, filled with hatred and revenge, leads a charge against the Romans that are left. The battle does not fair well, as Aric and others are taken captive. They soon discover that these are not Romans, but alien creatures simply known as the Vine. Taken aboard their ship, Aric and the others are forced into hard labor as slaves for years. Only by chance does Aric stumble on a ritual for something called the X-O Armor. The armor is sentient, and chooses who it thinks is worthy to wear it and be blessed by it’s power. All Vine that have tried failed. Needless to say, the day comes when Aric has his chance. Though he is almost killed during the bonding, the armor chooses him as he becomes X-O Manowar. The suit is nearly indestructible, able to shoot out energy blasts of devastating power, and produce an energy sword of sorts on Aric’s command. With this power, Aric is able to avenge the deaths of his fallen comrades and take the battle to the Vine’s home planet. Inadvertantly, Aric is saving the planet he used to call home, Earth, from disaster. He is a hero, and he fights with honor and courage. X-O Manowar earns his #8 spot with the might of the Visigoths! It was hard to put her here, but when you see the rest, you’ll understand why. 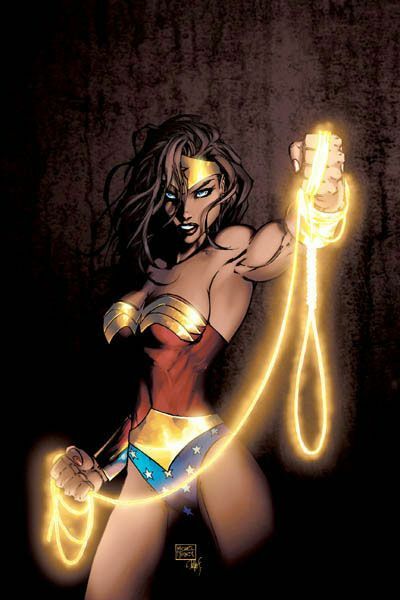 With her lasso of truth, indestructible bracelets, and powers that rival Superman, Diana Prince, as we know and love her, is a major player in the DC Universe. She’s been everywhere: The Justice Society, the JLA, at the forefront of events during all the Crisis’ (of which there are many), and all other major DC storylines, Wonder Woman not only fights for truth and justice, but for equality of women too. An Amazon by nature, not only will she not be led by men, but she, and those like here, will not let men do their dirty work. They’re just as powerful, just as mighty, and just as vicious when it comes to protecting, and defending what they believe is right. Never the damsel in distress, Wonder Woman can, and does, fight alongside her fellow heroes, but takes just as much, if not more, punishment as the rest of the guys. We long for a decent live action treatment of this amazing heroine, but until then, we’ll have to be satisfied with her place on our list at #7. Now, if I could just find that damn invisible plane. He is the best there is at what he does, and what he does isn’t very nice. Words Logan lives by… words we know him by. This short and very aggressive Canadian has become one of the most popular characters in comics, getting his start going up against the Hulk. Not only did he survive, but has since gone on to join the likes of the X-Men, becoming a staple member, not only in Professor X’s team of mutants, but to join the ranks of X-Force, and later as a teacher at the School for Gifted Youngsters. All that aside, Wolverine boils down to this: years of suppressed, or lack thereof, memories has made Logan a very hard person to get along with. Latching on to very few, Wolvie has made several notable enemies over the years. From the Silver Samurai to Sabertooth, his stint in Japan (which helped very much to mold the character), to his years losing his adamantium to the likes of Magneto, Wolverine’s storylines have not only proven epic, but character changing. 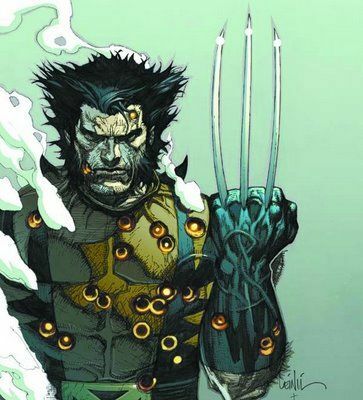 Six claws cause a world of hurt, and that’s why Wolverine has sliced his way to our #6 spot. That’s it for this week’s section of the SMC Top 25! Stay tuned next week as we go into the top 5 characters on our list! Who will it be? Find out in the last section of SMC’s Top 25 Heroes!